Polaroid 600 -sarjan kameroille soveltu mustavalkoinen pikafilmi. 8 kuvaa / paketti. 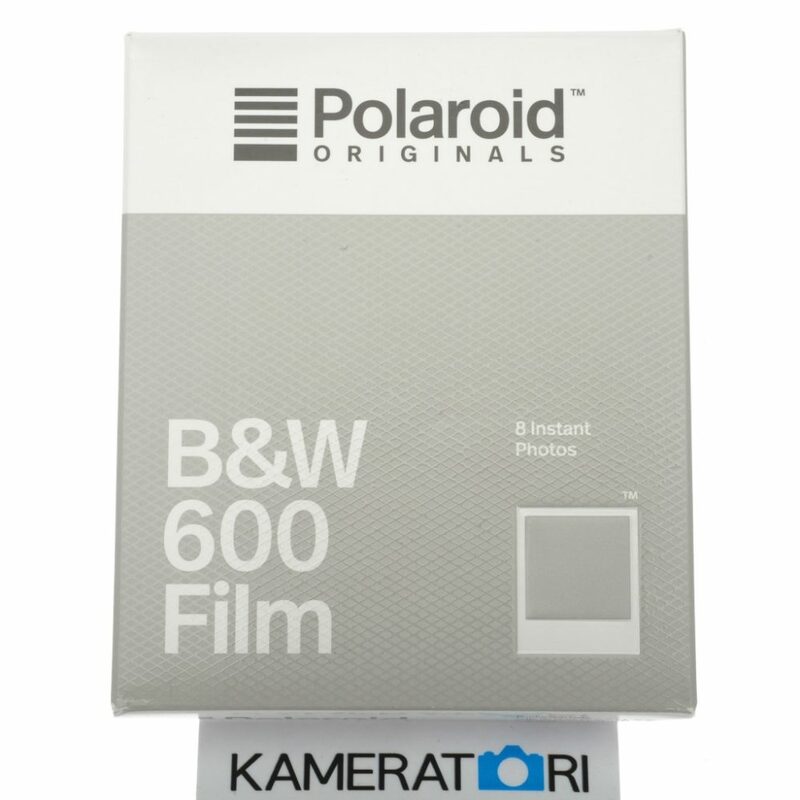 Just like the camera it goes with, 600 film is straightforward and easy to use. It comes in classic color and black & White versions, as well as a range of special editions, making it our most popular instant film. Temperature affects how the film works. Keep it stored cold in the fridge, but never freeze it. Ideally you should let it adjust to room temperature before you use it. That’s around 55–82°F (13–28°C). When it’s cold out, keep your photos warm in a pocket close to your body while they develop. Or if it’s a hot day, make sure they stay cool. The more light in your shot, the better your photo will turn out. Instant film loves light, especially natural light. Use the flash for all your indoor photos. For best results we also recommend using the Flash for outdoor shots, unless it’s a bright sunny day. All photos appear blank at first. They’re most sensitive during this time, so don’t bend or shake them. Shield them from the light, and place them face down as they develop. Keep B&W photos shielded from light for about 1 minute, and color film for about 6 minutes. Your camera has a set of rollers inside the film door. Each photo passes through these rollers as it’s made, so it’s important to make sure that they stay clean. If the rollers get visibly dirty then gently wipe them down with a soft, damp Cloth.